SnapStream’s TV search engine delivers results in milliseconds and takes you to the point of mention inside any TV show, based on the closed captioning. 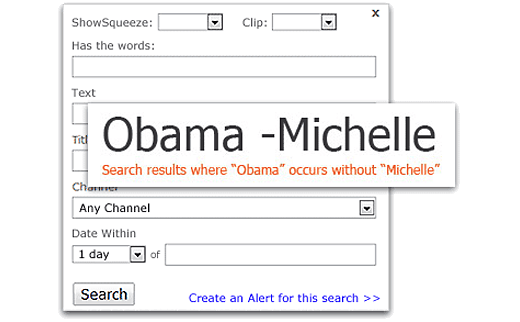 Search TV like you search the Internet. SnapStream delivers results from the closed captioning and program guide data so fast, you’ll freak. It even recognizes synonyms, misspellings, pronouns, suffixes and accent characters. 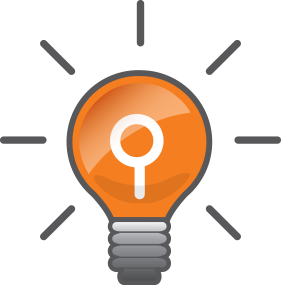 Like Google, SnapStream’s TV search engine uses Boolean logic to helps you narrow down results. Use operators—like and, or, not—and filters—like TV show title, channel, category, local channel and date. 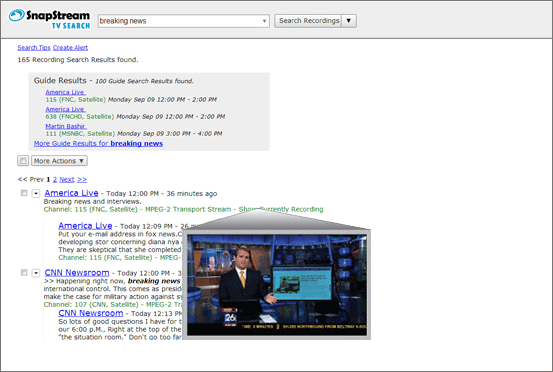 SnapStream’s TV search results feel familiar, like a Web search engine. You’ll see program guide results and broadcast results—this is where your keyword occurred in the closed captioning. View a result to watch from the point of mention in the broadcast. While SnapStream is recording your TV shows, it's indexing the closed captioning and program guide meta data in real time, so even TV shows in-progress are searchable. 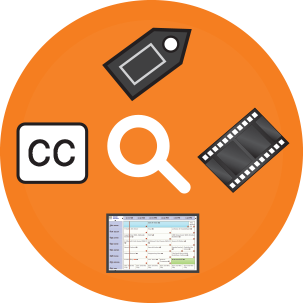 All custom media tags, transcodes and clips get rolled into TV search. 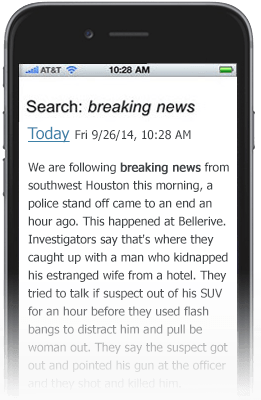 Get all your important TV mentions and clips emailed to you in real time, or as frequently as you'd like, with SnapStream TV Alerts. Clips are delivered through SnapStream's Cloud—viewable by anyone, anywhere.